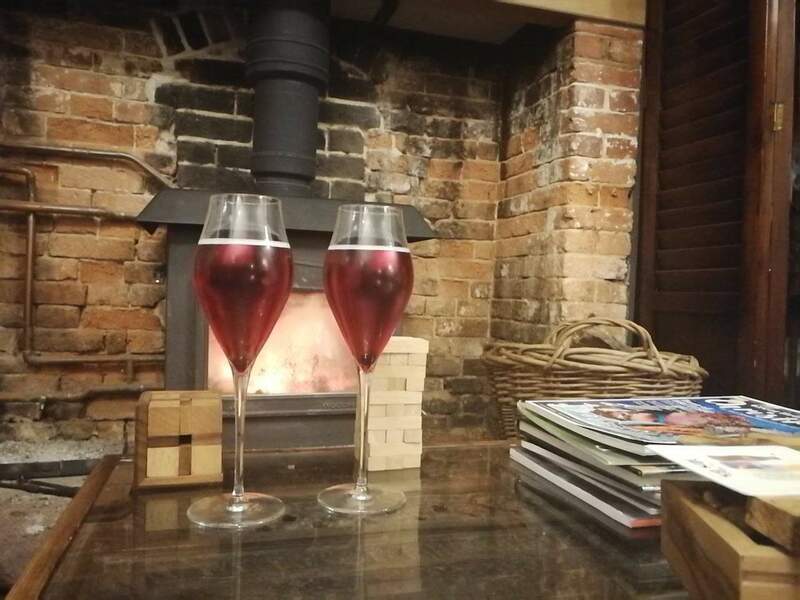 The cosy and beautifully furnished La Fosse in the buzzy village of Cranborne is a perfect getaway for couples and is only a short drive from London. La Fosse, which is owned by Mark Hartstone and his French wife, Emmanuelle, is a quirky yet unpretentious guesthouse that combines traditional furnishings with contemporary design. What makes it a cut above your average village B&B is the small but excellent restaurant, offering a menu chock full of fresh, local produce. La Fosse is equally suited to couples and families who want to spend a weekend enjoying the great outdoors. Bikes are available to rent from the B&B free of charge – it’s best to contact Mark and Emmanuelle in advance due to limited numbers. There is also a box of (waterproof) maps and Mark will happily recommend his favourite local walks to take you around the village and beyond. 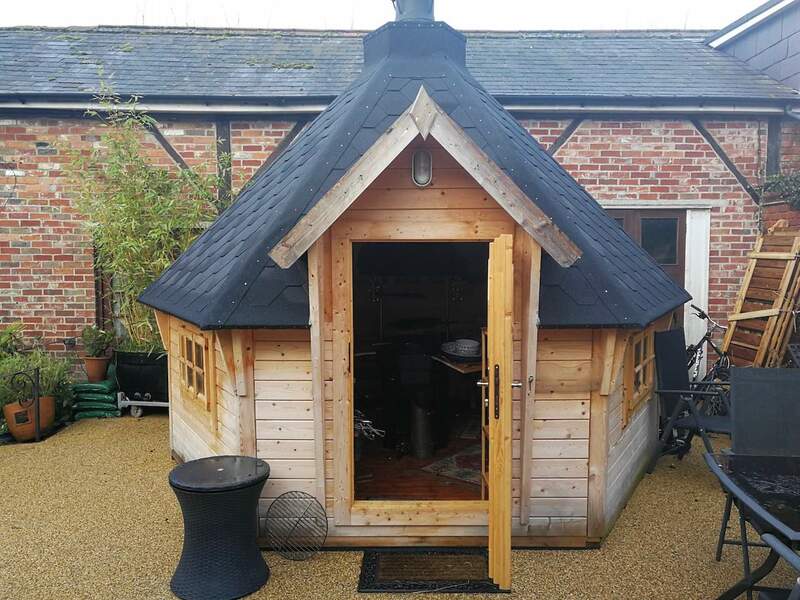 The B&B also has a lovely garden with a 14-person BBQ hut, where you can enjoy a fantastic selection of meat and salads prepared by Mark himself, who is a fully trained Chef. The BBQ hut is ideal for a birthday party and can be enjoyed throughout the year, even in driving snow. The six rooms at La Fosse are divided into four categories: Classic, Cosy, Spacious and the Suite. 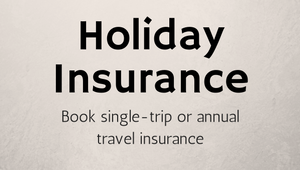 All rooms have generously sized double beds and en suite bathrooms. We spent two nights in the charmingly named “Dorset Blue” Spacious room, tastefully decorated in blue and white. The room was bright and airy with large windows overlooking the village. The bed was very comfortable, although our sleep was slightly impeded by church bells that chimed hourly throughout the night. The bathroom was small but well designed, with heated marble floors and a large bath & shower. I was impressed by the range of bath products supplied by the British company, Cowshed. La Fosse is a small family-run B&B so there’s not a lot in the way of spas and indoor gyms. However there is a cosy living room with comfy sofas and leather chairs. Some of the more unusual items include a hand drum that pays homage to Mark’s hobby as a percussionist. The restaurant also opens out into a lounge area complete with a wood burner where you can enjoy a pre-dinner cocktail and have a go at solving one of the pesky wooden puzzles. It’s a cosy area that contains some fairly whacky furniture – the table is made from half of a wooden window shutter all the way from India. 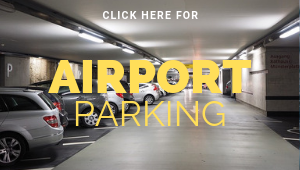 There is no exclusive parking on site, but it’s fairly easy to find a parking spot nearby. The restaurant at La Fosse has won numerous awards in the last two years, including “Best Restaurant” and “Best Food & Drink” at the Taste of Dorset Awards. Impressively, Mark curates the menu and cooks the food himself, with only the help of a pot washer and occasionally his wife, if it’s a full house. The food includes rural delights such as Venison Carpaccio with chestnuts and cranberry relish. The starter of hot and cold smoked Romsey trout came with a sliver of cured whiskey salmon that had a fantastic bite to it. We also sampled the award winning cheese board which included an excellent gouda with nettle, horseradish and garlic. The restaurant is fully licensed and also doubles as the breakfast room, where you can enjoy a selection of hot and cold dishes including a Full English and Eggs Benedict. Yes, WiFi is available free of charge, although its not the most reliable. There is no mobile signal in Cranborne, so use this as an opportunity to escape from the grips of technology. 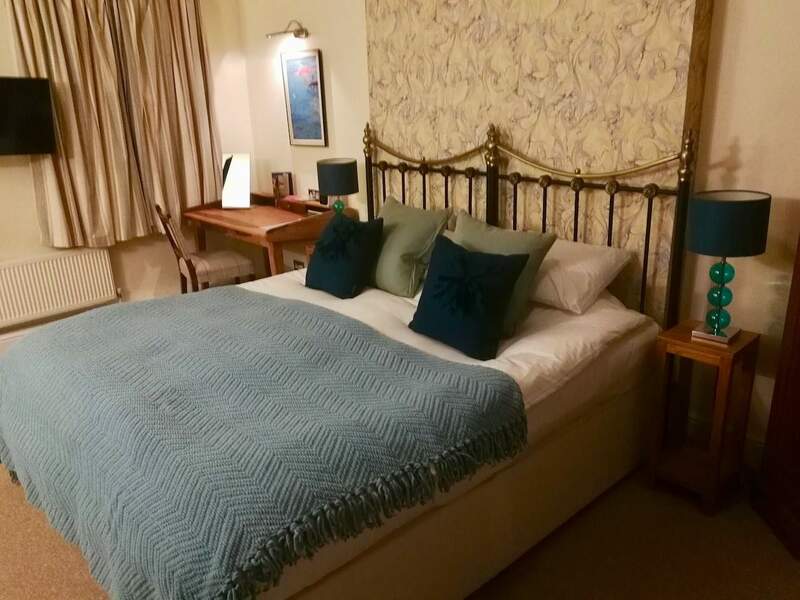 Rooms start at a very reasonable £89 per night and the suite is available for £165 per night (based on two sharing). You won’t get these kind of prices in London! A three-course dinner at the restaurant is £29.50 with a £4.50 supplement for the cheese board. 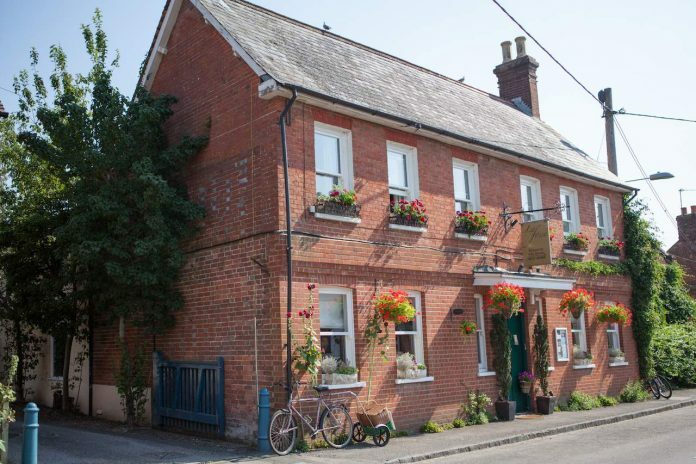 Cranborne, with its traditional rural houses and friendly local pubs, is a delightful place to spend a weekend, with plenty of things to see and do in the local area. 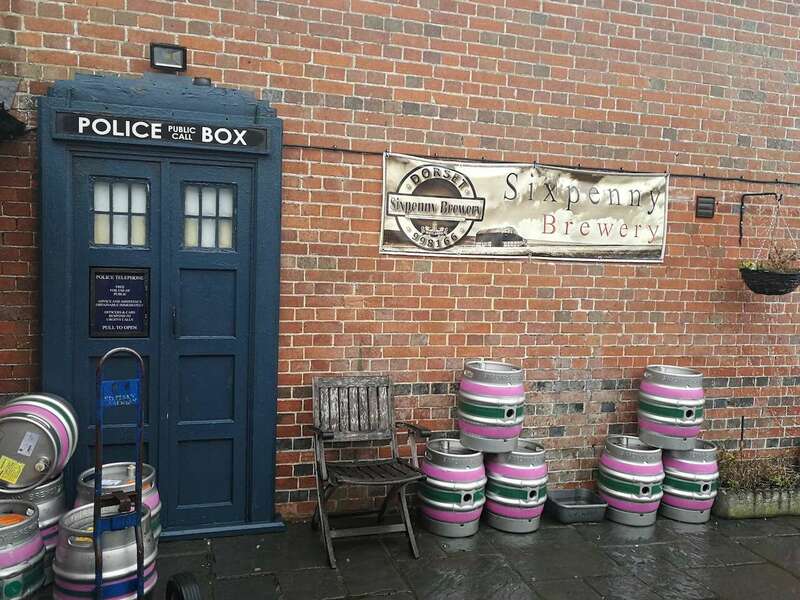 As well as the multitude of local walks, there’s the Sixpenny brewery, which has its own pub serving a selection of local ales. If you’re part of a group, they might even take you on a tour through the brewery. The old walled gardens of the manor have been converted into a licensed garden centre that serves a fantastic selection of cream teas and cakes. There are also two pubs in the village, and the Sheaf of Arrows was buzzing with activity when we went there on a Saturday night. Like most of Dorset, transport links to Cranborne are fairly dire. There are a couple of buses a week and it takes about 30 minutes to drive from the major train stations (Poole, Bournemouth, Salisbury). The best way to reach Cranborne is by car, and it takes about two hours to drive there from London. 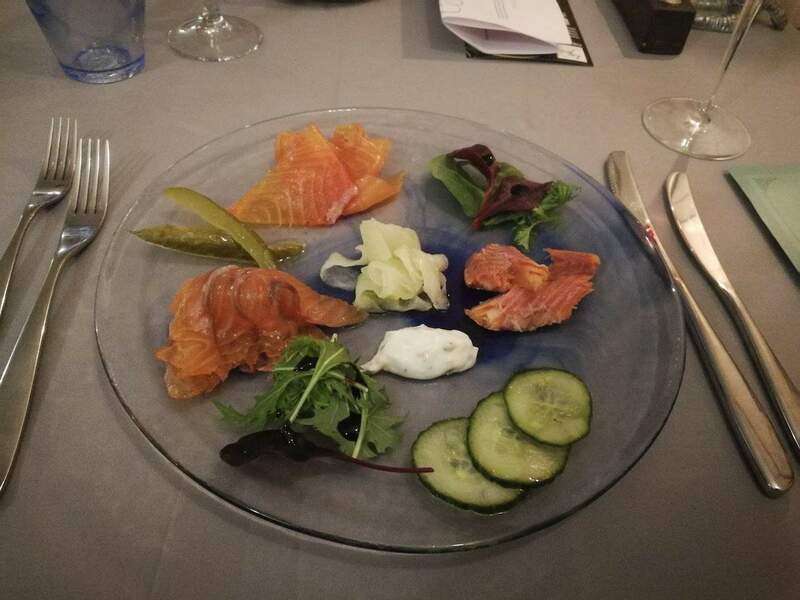 Both the hospitality and food at La Fosse are second to none, and the prices are very reasonable. This is the ideal place to escape from the hustle and bustle of daily life.